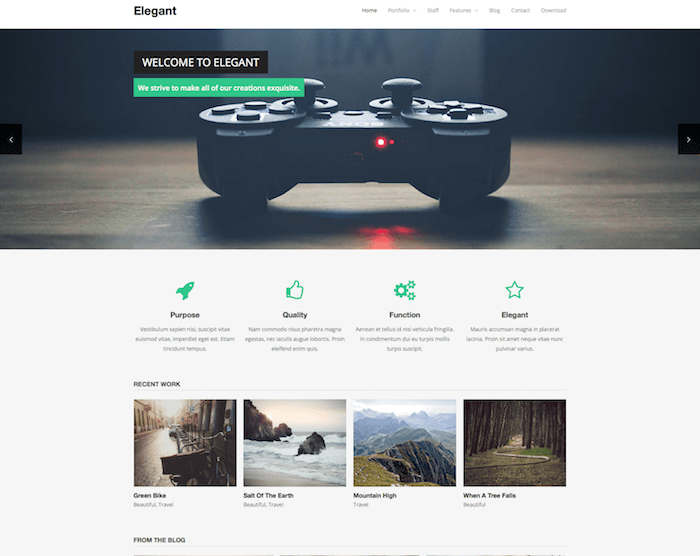 Elegant is a free and amazing WordPress theme suitable for all kinds of business websites and portfolios. 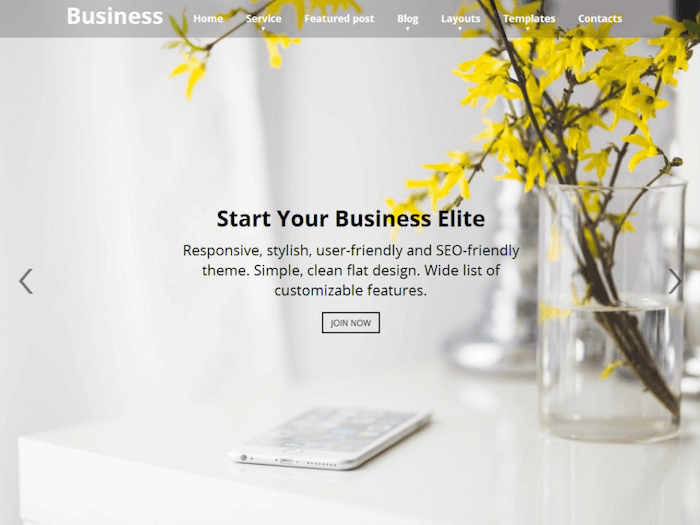 As the name suggests, this is an elegant yet fully featured business theme. No matter what your business or profession is, Elegant can help you establish the perfect business website or portfolio on the web. 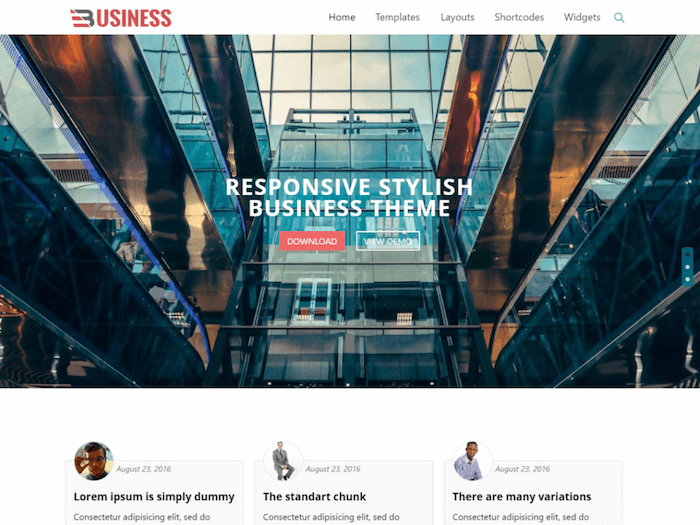 This theme is mainly ideal for small businesses, freelancers, professionals, bloggers, nonprofits, etc. Elegant theme is designed with a perfect blend of modern and classic styles to keep the design attractive, beautiful and clean. Whether you want to create your own business website or a personal/ professional portfolio online, Elegant theme is the ideal option for you. The homepage of the Elegant theme features a beautiful, full-width slider that can be easily customized to add images and text content you wish to highlight. The slider is the first thing that users will see when they visit your website. You can add as many slides as you want to the slider. A slide can be easily created by using custom post type. The slider can be used to display images, text content, videos, or anything else that you want to put at the front of your business website or portfolio. Elegant theme features inbuilt custom post types setting that makes it easy for you to add custom content to various pages of the website. Some of the inbuilt custom post types include staff posts, portfolio, features, and Homepage slider. You can easily create new custom posts or use the existing ones in any page or post. Every time you want to create new content for your website, you just have to create a new post with that particular custom post type. You can even add new slides to the homepage slider by simply creating a new post. 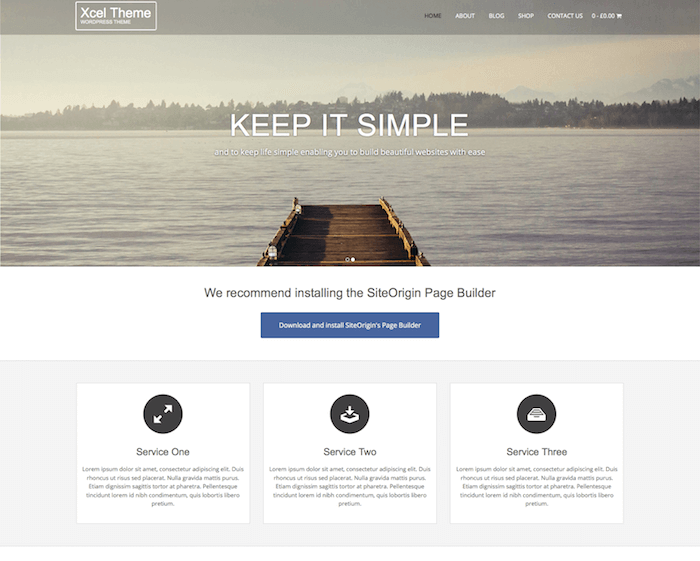 Another noteworthy feature of the Elegant theme is its integrated WordPress theme Customizer that makes it easy for you to customize your WordPress website in your own specific design and style. The customizer supports multiple theme customization options, including background image, colors, fonts, website logo, layout, posts per page, advertisement, footer, widgets and more. In short, it allows you to change all the style and design settings of your business website from a single page.